Bhaiyyuji Maharaj dead: Why did twice-married godman, a zamindar's son with a penchant for luxury SUVs, kill himself? The mortal remains of Bhaiyyuji Maharaj were shifted from Bombay Hospital in Indore to his native village Shivneri for his funeral. His daughter Kuhu is said to be travelling from Pune to Indore to perform the last rites. Self-styled spiritual leader Bhaiyyuji Maharaj's death has left scores of followers in despair and shock. However, apart from the conspiracy theories that surround his death, Maharaj even had his share of controversies during his life. Almost more than a decade ago, Maharaj was in the midst of a controversy in which a woman said that she bore Maharaj's son. However, the spiritual leader completely rubbished her claims. In April, Maharaj married Arushi Sharma, two years after the death of his first wife Madhvi, a Mumbai-based actor and writer, reports Hindustan Times. According to his Facebook profile, Maharaj was a spiritual guru who founded Shri Sadguru Datta Dharmik Evam Paramarthik Trust in Indore which aims at serving humanity. It further reads: "He developed a scientific, psycho-philosophy and a system of practical discipline for physical, mental and spiritual development." Many of his high-profile followers including politicos frequently visited his ashram located in Indore. It all started around 12.30 pm on Tuesday when Maharaj locked himself in his daughter's room and shot himself on his right temple. "On hearing the gunshot, servants broke open the door to find him slumped on a bean bag with his licensed revolver lying nearby," the Deputy inspector general (DIG) of Indore Harinarayanchari Mishra was quoted as saying by Hindustan Times. "Some body should be there to handle duties of family. I am leaving to much stressed out, fed up (sic)." Another note was recovered from his room which reportedly said that all his finances would now be looked after by one of his trusted aides named Vinayak. The spiritual leader whose real name is Udaysingh Deshmukh was the son of a zamindar. He was known for his luxurious lifestyle and elegant style. He was often pictured in a white Mercedes SUV with a small group of followers. He even stayed at posh resorts during his trips. 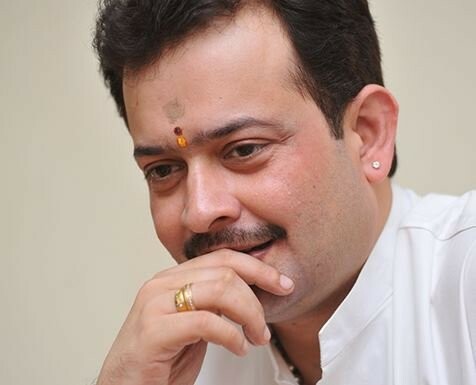 Maharaj is also known for his close association with Rashtriya Swayamsevak Sangh (RSS) chief Mohan Bhagwat, former President Pratibha Patil Maharashtra chief minister Devendra Fadnavis, former Maharashtra chief minister Vilasrao Deshmukh, and Shiv Sena leader Uddhav Thackeray. Madhya Pradesh Chief Minister Shivraj Singh Chouhan also paid his tributes to the spiritual leader and said that the country "has lost a person who was a confluence of culture, knowledge and selfless service." He was accorded Minister of State (MoS) status by the BJP government in Madhya Pradesh on April 4. Maharaj had, however, declined the position by saying "a post holds no importance for a saint," reports IANS. "All he has ought to think of is service to the people. When a post or status does not touch your mind, intellect or conscience, why think about it," Maharaj had earlier told the news agency. Scores of followers of the self-styled spiritual leader expressed grief and despondency on hearing the 50-year-old guru's suicide. On Wednesday, the mortal remains of Maharaj were shifted from Bombay Hospital in Indore to his native village Shivneri for his funeral. 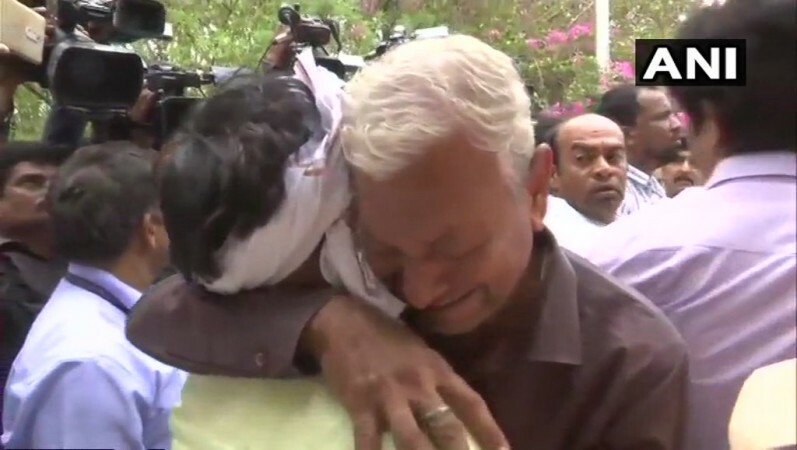 His daughter Kuhu is said to be travelling from Pune to Indore to perform the last rites, India Today reports. Maharaj is known for having a huge following among prominent businessmen and politicians. Scores of supporters reached the Bombay Hospital on hearing the news of his death.